The Bunker Hill Bar & Grill offers an upscale alternative to your typical sports bar. 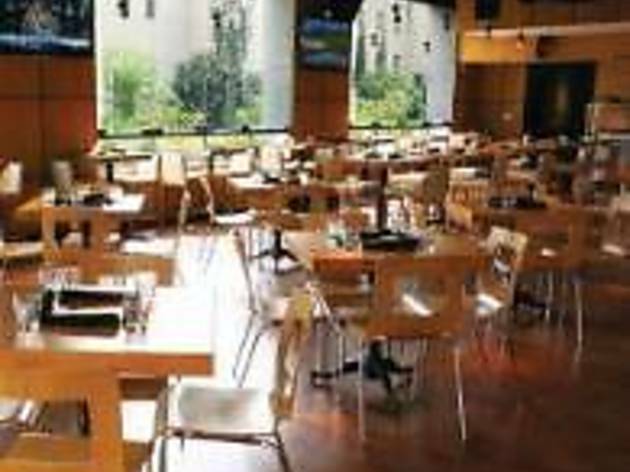 Our clientele finds a comfortable environment for both business lunches and weekend football. We offer a variety of foods (wings, tacos, burgers and sushi), happy hour everyday, draft and bottled craft beers on top of a full bar, and enough big screens to watch any game being broadcast (on DirecTV). Bunker Hill Bar & Grill is nestled on the NW corner of 5th and Grand in the heart of the financial district. Our patio offers beautiful views of the downtown architecture and our heaters keep you warm on those cold Southern California nights. Bunker Hill features four distinct menus - weekday lunch, happy hour, dinner, and weekend brunch. 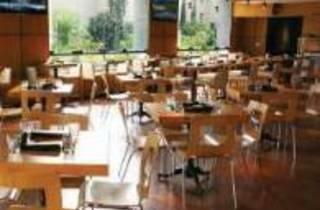 We accept reservations a day ahead of time, large parties, and restaurant buy outs. Give us a call, or come in today, to experience a different kind of sports bar. One of my favorite places for DTLA Happy Hour! They have a great selection of drinks and bites for around $5 which is a steal! I also like how you can sit anywhere for the happy hour either outside in the patio space or indoors - a major plus indeed! I really enjoy their chicken wings, fries, and brussell sprouts for bites. I've been here for lunch and it so happened they had a signature pork belly sandwich - it was AMAZING! The service is very good here too since they seemed to be very well staffed and attentive!